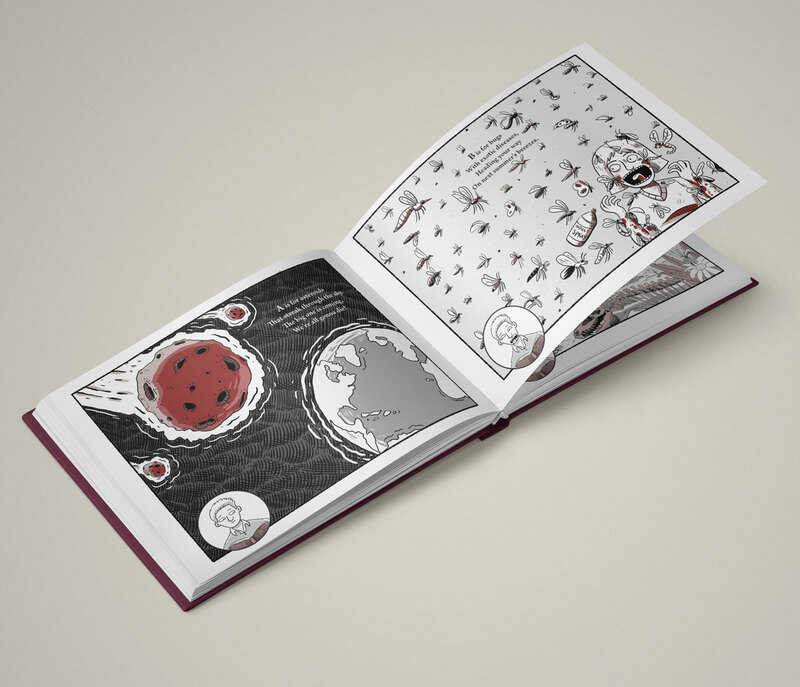 A darkly comic fable that offers visions of the apocalypse for every letter of the alphabet. 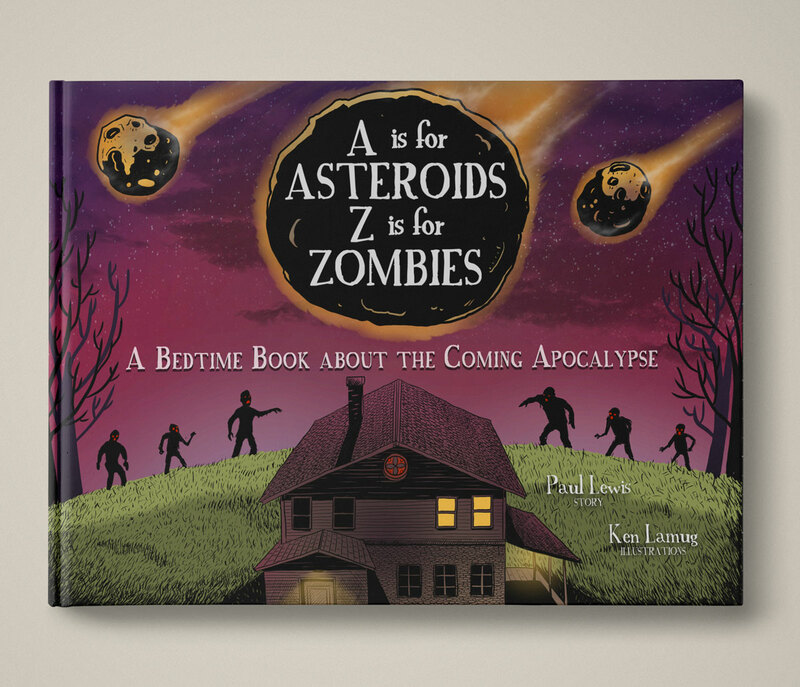 Starting with a father whose son has been asking questions about global dangers, A Is for Asteroids, Z Is for Zombies takes us inside our worst fears, laughing at some and taking others seriously. 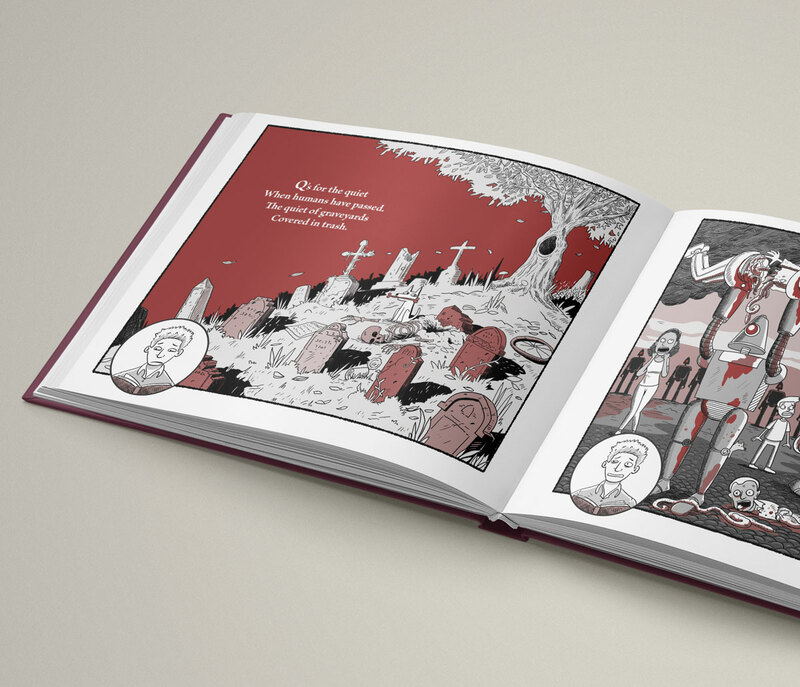 With macabre verse and fantastically gory illustrations, it provides gallows humor for our doom-haunted times. Oh I love this book!! Now, this is my kind of book! Oh, my god. I loved this! A is for Asteroids, Z is for Zombies is absolutely hilarious. By the end of it I was in stitches. (Somewhat disgusted stitches, but stitches nonetheless.) Paul Lewis and Kenneth Kit Lamug have very twisted minds, and it shows through in this delightful picture book. - Lilyn G.
Brilliant! Wow what a book! This book had me in stitches! This is a fun and playful picture book with a touch of dark humor. The illustrations and enjoyable and laugh-inducing rhyme scheme make this a breeze-y read that I can see adults having as much fun reading as their children -- if not more! - Victoria P.
Paul Lewis is the president of the Poe Studies Association and an English professor at Boston College where he teaches courses on American literature, gothic fiction, and nonfiction writing. He brought a career-long interest in dark humor to the writing of A Is for Asteroids, Z Is for Zombies: A Bedtime Book about the Coming Apocalypse (2017), Cracking Up: American Humor in a Time of Conflict (2006), and articles on gallows humor, political humor, and humor and terrorism. The neologist who coined the word “Frankenfood,” Lewis has also published op-ed, feature, and humor pieces in leading newspapers. Kenneth Kit Lamug is an author and illustrator based in Las Vegas, Nevada. He is the Illustrator Coordinator for SCBWI Nevada Region. 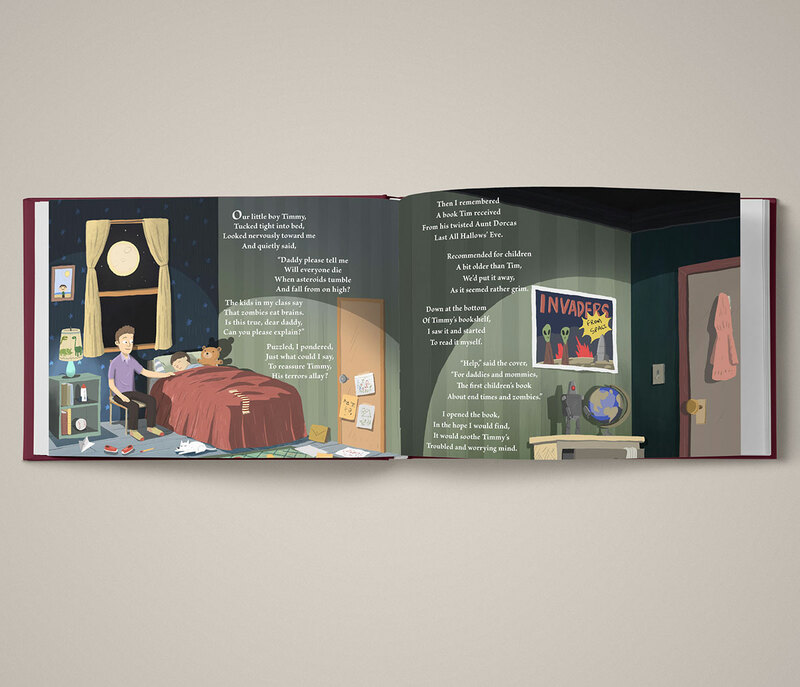 His first children's picture book, A BOX STORY, has won multiple awards including Moonbeam Children's Award, Pinnacle Book Award and The Literary Classics Award. Following the success, Ken worked in other mediums including comics which led to the release of his next book, The Tall Tales of Talbot Toluca. His most recent books include the alphabet parenting parody book, HURTS LIKE A MOTHER, and spooky fairytale picture book, THE STUMPS OF FLATTOP HILL.